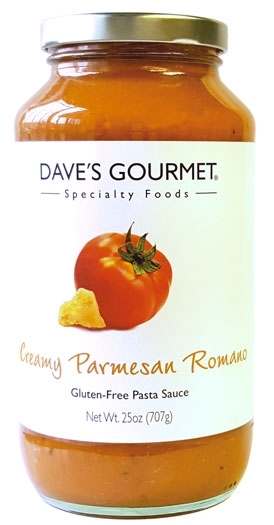 Mouth-watering aged Romano and Parmesan cheeses, juicy ripe California tomatoes, premium California garlic, extra virgin olive oil and fresh herbs combine to create a rich and creamy hearty sauce that is bursting with flavor. Brown meatballs and then simmer with sauce. Serve on pasta. This sauce makes a terrific pizza sauce or a great change of pace when pan cooked with chicken or vegetables or baked with salmon. Don’t forget to use it in lasagna or baked ziti. Enjoy! Tomatoes, tomato paste, water, cream, Romano and Parmesan cheeses (pasteurized milk, cheese cultures, salt, enzymes), onions, extra virgin olive oil, carrot juice concentrate, sea salt, natural cheese flavor, basil, garlic, parsley and citric acid.